There's no love like limited-time love. When it comes to dogs in particular, a looming sense of mortality seems to ratchet up the intensity. After all, our faithful friends live just 13 years on average, although that varies wildly based on breed. To have and to lose that Big Love - those sloppy kisses ... those batsh*t crazy welcome-homes ... those quiet, shared moments in the par - SQUIRREL! And pray this pill's got game. Because if lab results are any indication, Rapamycin could add years to your dog's life. More critically, the drug promises to make that extra time quality time. Lab rats not only lived longer with Rapamycin, but also kept their minds and bodies nimble. Researchers don't completely understand how the drug works, according to the MIT Technology Review, but it has shown similar results on worms and even fruit flies. But keep in mind, side effects to the drug are already well-documented and include blood sugar spikes at high doses and canker sores around the mouth. So far, there have been no reports of zombification. Or anything that might get Stephen King cranking out a new novel. 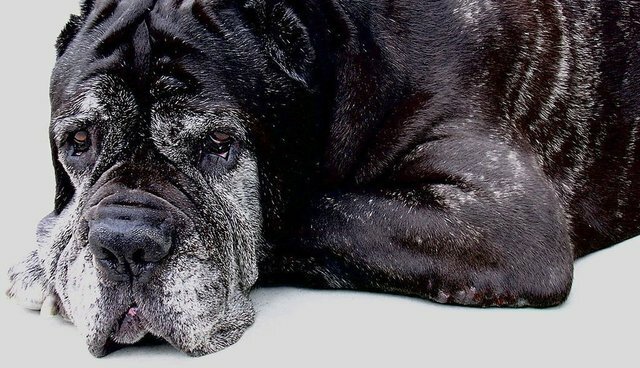 Matt Kaeberlein, the University of Washington biologist leading the study, tells MIT only big dogs are part of the study because they age faster than their smaller cousins. And, of course, that they are being very, very careful with the dogs. "The last thing we want to do is harm people's pets," he said. A rat-like gain in the study dogs would work out to about an extra year or so. No, Death wouldn't exactly be taking the longest of holidays. But in the whirlwind love affair between dogs and humans, that works out to about 86,884 extra full-face lickings (including eyeballs, and the inner lining of your ears), 32,900 balls thrown and only half-fetched and 9,612 squirrels being chased up trees.